In the MakeLab this semester, Kyle Van Klompenberg and Natalie Haddad have been working on a project for the Virgil H. Carr Cultural Arts Center, located in Downtown Detroit, Michigan. 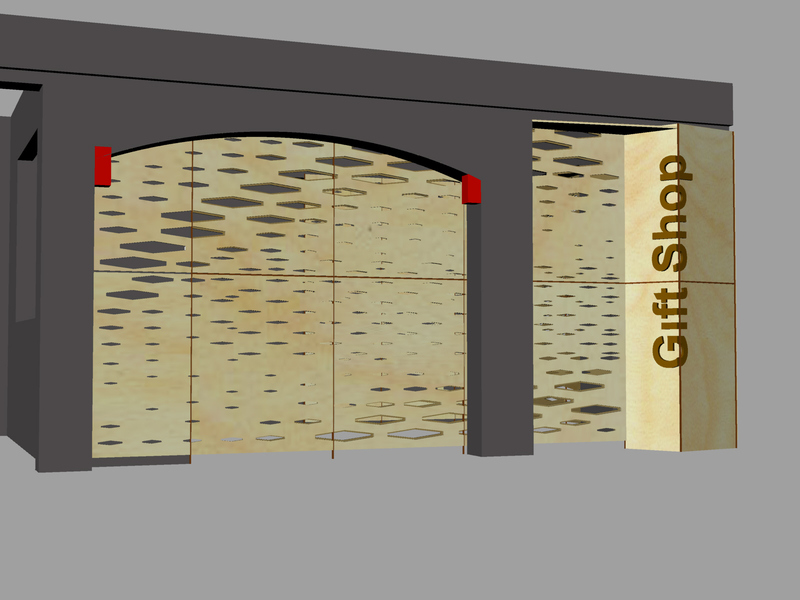 The goal for this project is to provide a screen system for the gift shop space. The screen system is to do multiple things. First, the screen will draw interest to the gift shop from building users. Second, the screen will provide an enclosure to the gift shop. 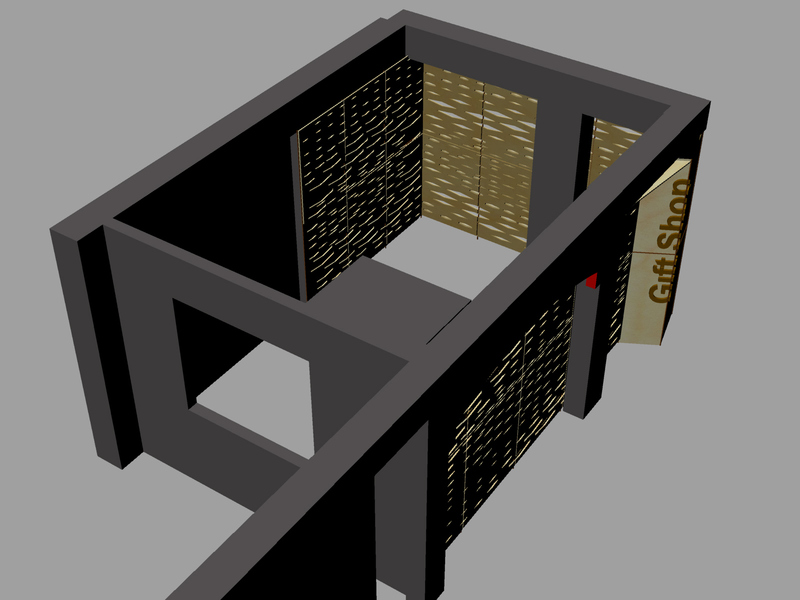 Third, the screen will provide shelving for goods to be stored, presented, and sold. Addressing these issues will not be an easy task. The design as of Thursday, February 24th looks very promising. The team has been working hard on inventing the perforation design of the 3/4” plywood birch screen. The screen will provide a wrapping around the existing beams in the space – paying tribute to the existing structure of the building, while also creating an exciting feeling of curiosity about the space to the building users. Some issues that were brought up during the February 24th critique include obstacles such as structural capabilities of the materials, functionality and form of the double-door entry, and the design of the screen in terms of how it wraps around the columns. How the screen interacts with its boundaries at the floor and the ceiling is also something that the team needs to address. Professor Jim Stevens brought up the idea of incorporating CNC cut studs on the interior of the screen which will respond to the perforations of the plywood. The studs will provide a structure to the single layer of plywood without interrupting the view of the perforations from the exterior. At this point, the team feels as though they have a couple areas they would like to focus on. The first involves the entry to the gift shop. The doorway was one of the main topics of discussion during the review, so figuring out how to create a focal point between the doorway and the customer’s needs to be further explored. Another matter they are looking to address is how the screen will wrap around the beams while still respecting the structure and history of the building. The team has plenty of work to do, but they seem to be on the right track with their project so far. We will check back with Kyle and Natalie periodically throughout the semester to see how the screen system is progressing.